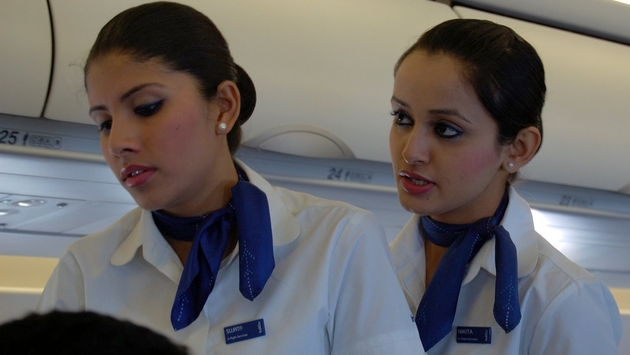 Some airline staff members take their job way too seriously. Several passengers on a delayed flight in Boston were threatened by airline employees after they began filming staff members delivering information. According to Global News, passengers onboard a Porter Airlines flight Friday at Boston Logan International Airport were waiting to take off for their destination in Toronto when the plane was forced to return to the terminal after being delayed for two hours. Eventually, the flight was canceled due to a mechanical malfunction on the aircraft, but the problems for the airline were just beginning. As the passengers waited in the terminal for an announcement of what was to come next for their journeys, many of the impacted travelers pulled out their phones to record the response from Porter employees. In response, personnel from the airline began threatening to call the police on those using their cell phones to tape the announcements, citing security procedures. Porter employees went as far as checking the phones of people seen filming to ensure the videos were deleted. Witnesses claim that while passengers remained relatively calm, airline personnel were very aggressive. The impacted passengers were accommodated by the airline in local hotels and had their meals paid for, but many were forced to stay in Boston for three days before they could be booked on a Porter flight to Toronto Monday afternoon.